A lush exhibition in the Enid A. Haupt Conservatory of Hawaiian flora and a stunning display in the LuEsther T. Mertz Library Art Gallery that includes more than 15 of O’Keeffe’s Hawai‘i paintings—not seen together in New York since their debut in 1940—will spotlight a transformative experience in the legendary artist’s life, revealing O’Keeffe’s deeply felt impressions and the enduring influence of the Islands’ dramatic landscapes and exotic plants. Integrating art, horticulture and historical interpretation, the exhibition reveals the complex history of the plants on the Islands. Join us for a docent-led tour, comfortably transported throughout the gardens on a tram. 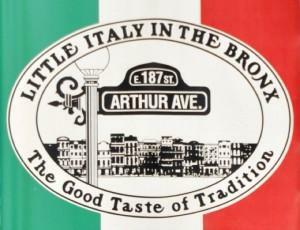 Lunch on your own on Arthur Avenue. A list of restaurants will be provided on the bus. Cost: &68.00 - includes bus and tours. Please put your cell number on check and leave your cell phone on the day of the trip. Send check, payable to MWI, to Suni Fay. Bus will be at Loew's Raceway Theatre parking lot, 1025 Corporate Drive, Westbury, facing the 3 restaurants.